Unite with thousands of other Australians to stand with young refugees around the world. Together, we can lead change. Join the 40 Hour Famine Backpack Challenge and take a stand for young refugees around the world. You'll unite with thousands of other Australians to lead global change by raising funds for young people who've been forced to flee their homes. Take up the challenge and commit to living out of your backpack with only essentials for 40 hours. Globally there are 68.5 million refugee and displaced people - among them 25.4 million refugees and more than half that number are under the age of 18. After Lilias’ father was killed by rebels in South Sudan, she made the difficult decision to leave her mother behind and lead her four younger siblings to safety in Uganda. 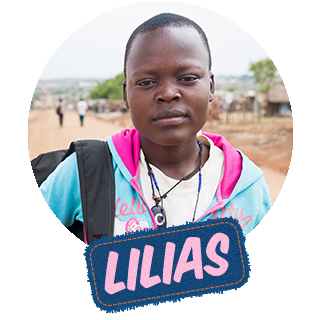 They live at Bidi Bidi refugee settlement, and Lilias, 17, hopes she can work for National Geographic one day. 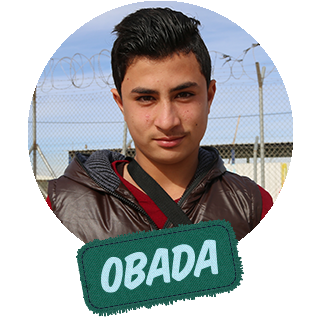 15-year-old Obada was just 10 when he fled conflict in Syria. He hardly remembers his life there – but he does remember the terrifying 20-hour journey. Now he spends his days playing soccer with friends at Za’atari refugee camp in Jordan, dreaming of playing for Syria. Jubaida is 11 years old and dreams of being a teacher. But she was forced to flee her home after violence broke out in Myanmar. Now living in a refugee camp in Bangladesh, Jubaida misses her grandparents and wishes she could have brought her pets with her. After her home was destroyed, Rhoda,12, fled her village in South Sudan. Unable to cross a border, her family took a cargo flight carrying aid to Juba, the capital city. They now live there – at a camp for displaced people. 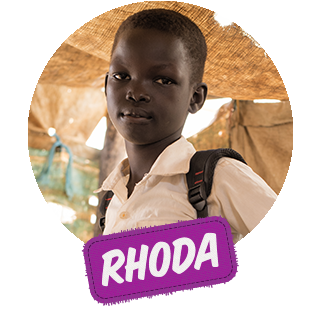 Rhoda studies hard; she wants to be a doctor. The Backpack Challenge will run from 8pm on Friday to 12pm on Sunday. Challenges will drop throughout the weekend, so be ready to grab your backpack and go! Join thousands of other Australians for the 40 Hour Famine Backpack Challenge. Unite to take the challenge and help lead change for young refugees around the world. Not sure how the challenge works? We've put together a handy How-To Guide. Young refugees are just like us. Meet Lilias, a young refugee who was forced to flee her home in South Sudan after her father was killed. Learn about her courageous journey and how she is continuing to pursue her dreams. How do you rank? Track your fundraising progress against others. Check out the leaderboards to see how you are tracking against your friends, team members, and other schools. A bit of competition might be just what you need to achieve legend status! Are you Backpack Challenge ready? Need to know what to pack, where the money you raise goes, or when the challenge starts? We've answered all the important questions in one place. 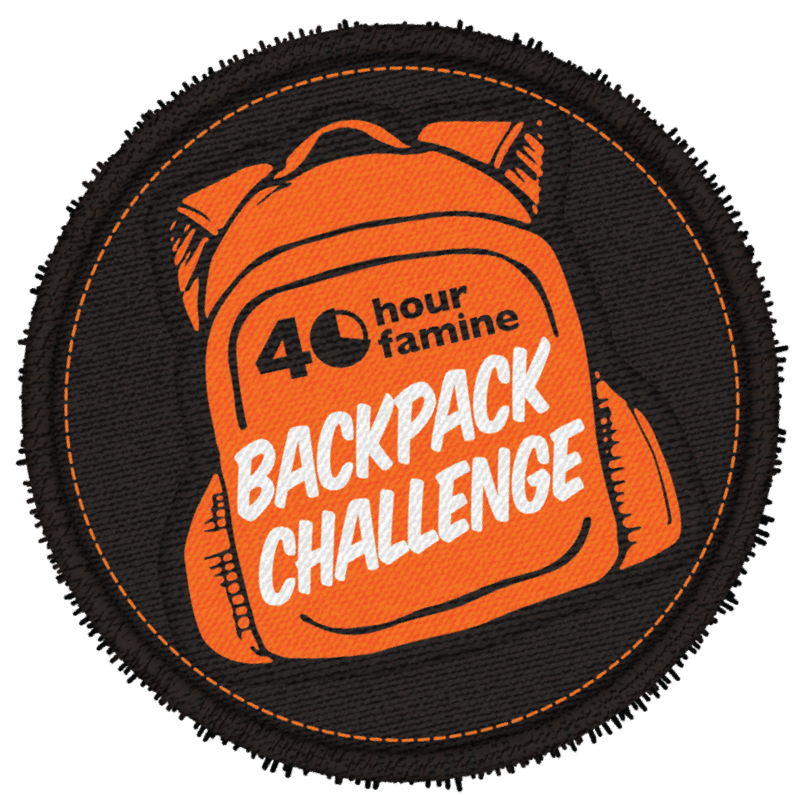 The resources page is a one-stop shop for everything you need to know about the 40 Hour Famine Backpack Challenge! Whether you’re a teacher, team leader, or flying solo for the challenge, check out the great tips and tricks that will help take your 40HF Backpack Challenge campaign to the next level. Whether you need to recruit team members, kick-start your fundraising, or prepare for the challenge weekend – we’re here to help!